Fairewinds' Arnie Gundersen was interviewed on Russia Today to discuss Southern California Edison's "San Onofre" Power Plant. Arnie says, "The worst plant in the U.S. for evacuation plans, is San Onofre. When they built it in the fifties, no one was around it, but Southern California has grown dramatically. So it would be almost impossible to evacuate the area." Later on he discusses why, and what this could mean. 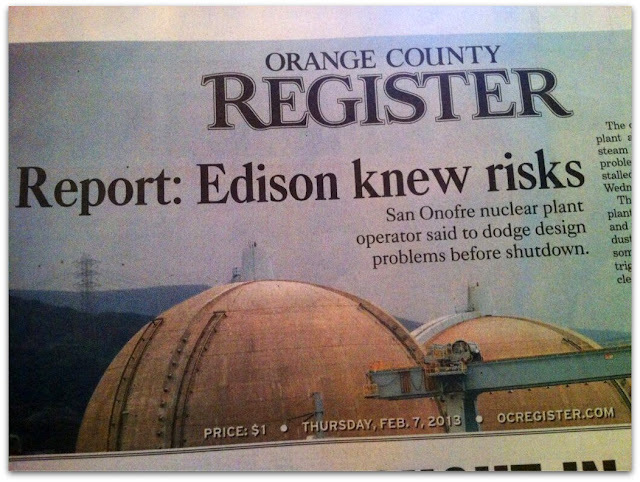 Did Edison Submit False Info To NRC? Will you stand up for California Feb 12?